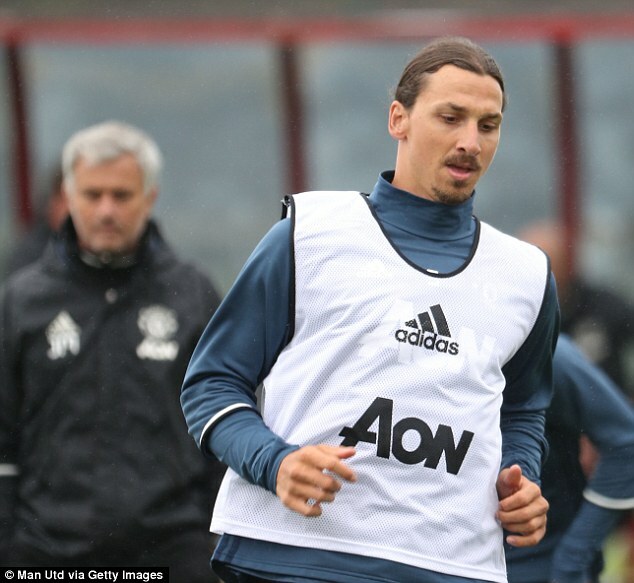 Zlatan Ibrahimovic took to the training pitch as a Manchester United player for the first time at the club’s Carrington base on Thursday. The 34-year-old had a grin on his face as he strode out in his United apparel, notably a jumper emblazoned with his new No 9, while being flanked by Ashley Young and Marcus Rashford. 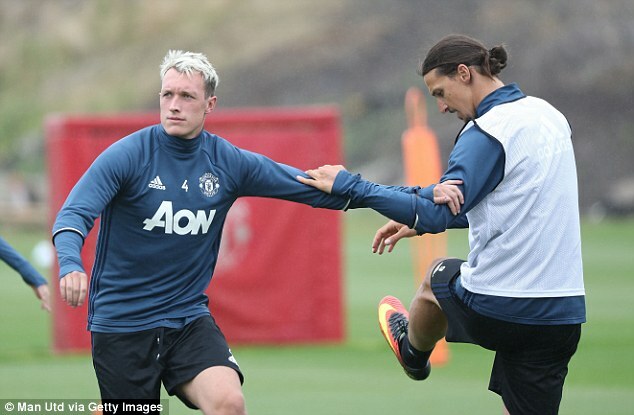 The Sweden icon visited Carrington on Wednesday, after being given an additional break following his free transfer from French champions Paris Saint-Germain this summer, but had not yet trained with his new team-mates. As he was put through his paces in Manchester’s notoriously rainy weather for the first time, the former Barcelona striker went through some exercises while chatting with veteran midfielder Michael Carrick.